Why is Google atop everywhere? Google probably the most used tech word among all people specially the techies. Computing 20 petabytes of data per day, Google has simply become a verb than a noun where you here people saying “Google it” for me I like telling “Google Dai lai sodh” = “Ask Big brother Google” :-). I will not make this post long, I’ll try to highlight things that makes Google arguably the best. Here let’s have a look at what makes Google stay at top in range and variety of services, acquisitions, and being #1 in the best place to work at in 2007. It is the best search engine, the best e-mail service and the best in all other things it has to provide if you take my opinion. Some people even think, if there was no Google there is no point in using the internet ;-). Simplicity: is the first and with doubts one of the most powerful tool in the Google toolbox. In this era of information overload one thing most Google products retain is simplicity and user friendliness. 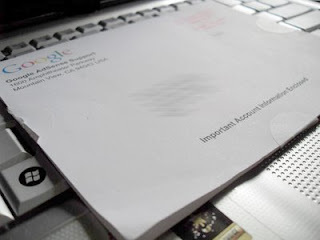 Not only online Google has simplified things on other grounds as well for example the Google AdSense PIN code you get, how simply the envelop has been turned in to the letter itself just flip it and get the code. The search at Google.com is also so very simple you only have a search box no other things to worry about just search it and get it. Variety of Products: The Wikipedia page here, lists some were around 150 Google products under different headings like standalone, extentsion etc. Google has a very wide range of products from AdSense to Maps to whatever you wish of. With support to it another Wikipedia page here, lists 50+ acquisitions by Google incluidng Blogger, Youtube and Feed Burner to name some. 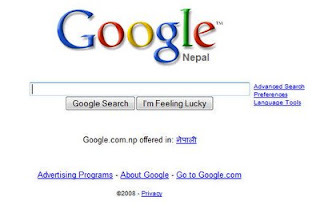 See the above pages and you’ll be amazed thinking “Oh it is also owned by Google”. Not only does it provide services but the Application Programming Interface (API)s it provides has also helped developers round the world in great volumes. Imagine developing a Map component, it will multiply the time line you develop a web application but with use of Google Maps its easy. See the Google Product Map here, courtesy rustybrick at Flickr its huge. #1 Place to work At: Now this might not be so related to the topic but let me clarify “Google (GOOG) What makes it so great? Our new No. 1 sets the standard for Silicon Valley: free meals, swimming spa, and free doctors onsite. Engineers can spend 20% of time on independent projects. No wonder Google gets 1,300 résumés a day.” So if the working environmet is amazing and workforce is great it is bound to give you great products and make our lives easier. CNN Money here tags Google as the best place to work at for the year 2007. Here you find the perks of a Googler and here, life inside Google. There are reasons for those 1300 resumes in a day. A PDF here, clarifies why Google is the best company to work for further more. So to all managers “A great work place makes a great work force that can win you lots of great work”. There are various other reasons why Google is at the top everywhere. Let’s wish Google stays at top and provides us with all the services better them time and again and that all for free.